Simple, plain, sturdy and secure protection for your wedding dress. 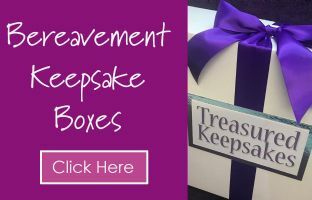 This beautiful box is wrapped and tied with a double faced satin ribbon in a colour choice from those listed below. 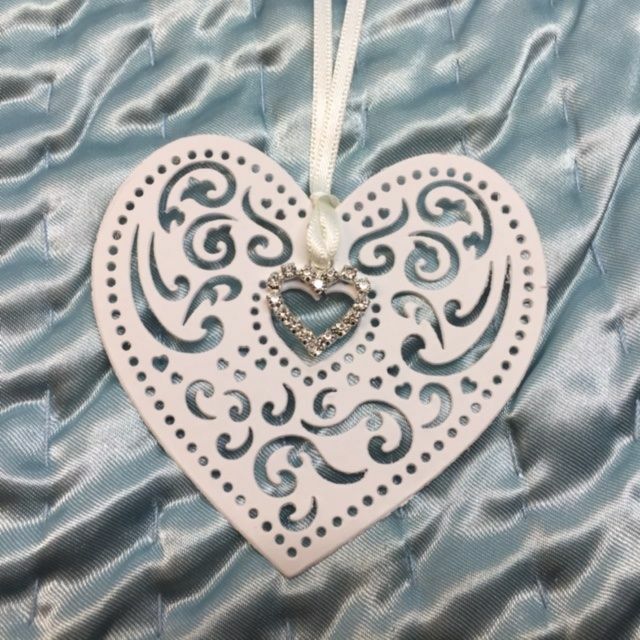 · Filigree card heart with diamante heart detail. · 30 sheets of acid free tissue. · Instructions on how to box and preserve your gown once it has been dry cleaned. Black, Bright Orange, Burgundy, Cerise Pink, Dark Green, Gold, Hot Chocolate, Light Blue, Light Pink, Lilac, Mint Green, Navy Blue, Peach, Purple, Red, Rose Pink, Royal Blue, Silver or Turquoise. 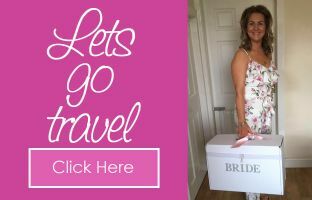 Why choose a Wedding Dress Storage Box? 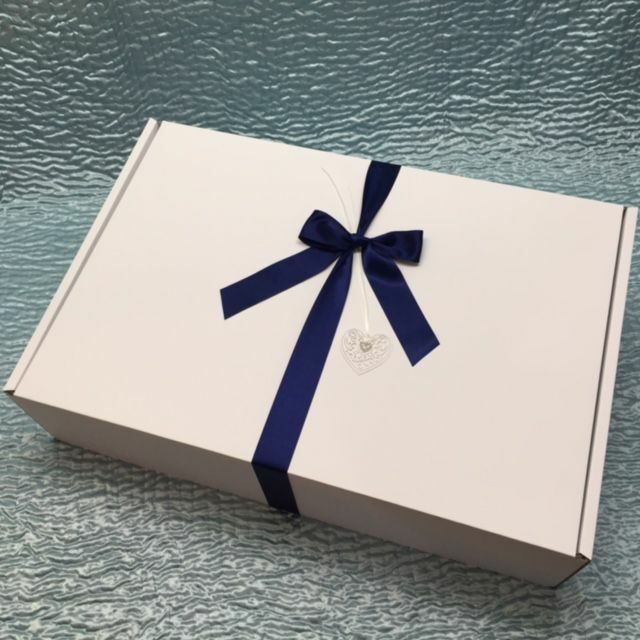 The Wedding Dress Box protects your dress by helping to prevent the potentially harmful effects of our surroundings from reaching your dress. Our boxes are made from pH neutral board, which means it does not contain acid or alkali. Acidic items can affect the fabric and cause “yellowing” or discolouration to appear. Combined with the acid free tissue it will provide a pH neutral and safe environment in which to keep your dress. A box also protects from light and dust which can fade or mark your dress. 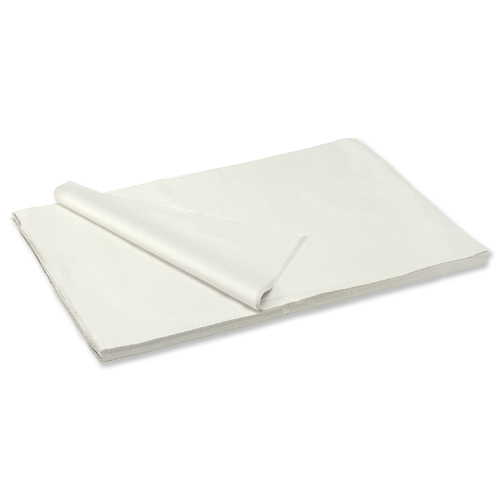 Plastic covers are not recommended as these may cause the fabric to ‘sweat’ which can lead to many problems. Your Dress Box can be kept as a pretty feature in the bedroom, and this in itself will keep your dress in a more stable temperature and reliable environment. It is important that the box is not put into an area where there may be any kind of damp or extreme changes in temperature. 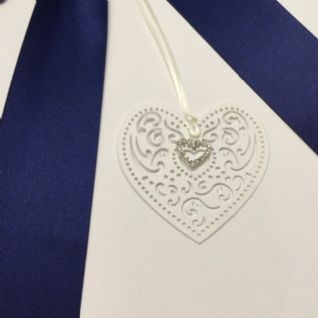 Unable to find the combination of box, ribbon and brooch to suit you? Please call us to discuss our bespoke service 0116 2886181. Please take care when ordering. These are wedding dress storage boxes and are too large to take on to the plane if you are travelling with your dress. We have given the dimensions in each listing, please measure your dress to make sure you need a box this big. We also do a small wedding dress storage box.